A lumberjack with fashion sense and love of great food is the best way anyone can describe me. 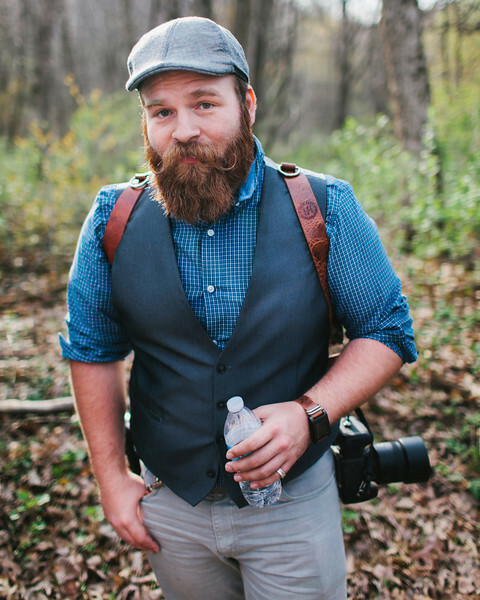 I sadly traded the axe in years ago for a camera to save my back and also to keep the ladies away cause no one can resist a bearded lumberjack unless they are holding a camera. I spend my free time with my dog chico, riding my bicycle with friends around the city and watching the scariest depths of Netflix trying to find that obscure movie to enjoy while I edit photos. Behind the beard is more beard but also someone looking to explore and capture things in a new way. Constantly inspired by the greatness around me I truly feel like a Ronin wandering, training and honing my photographic talents while enjoying where my camera takes me. If I had a motto it would most likely be, "have camera, will take photos!"